Microsoft has killed its Zune Originals storefront. As of this weekend, consumers can no longer customize their Zune purchases. If you placed your Zune Originals order prior to 5:00 PM PT on July 1, 2011, you will still get your device. Otherwise, you're out of luck. Here is the official announcement from Microsoft: "We are no longer taking new orders for Zune Originals. To purchase a Zune HD device, please visit one of our retailers." There are only two retailers that Microsoft points you to: Best Buy and Walmart. The software giant is at the same time pushing those looking for a Zune to go take a look at its replacement: "See how Windows Phone isn't just a phone, it's also a great Zune music and video player!" The Learn More button sends you to microsoft.com/windowsphone. Zune Originals has been available for almost four years now. The online store launched back in November 2007. 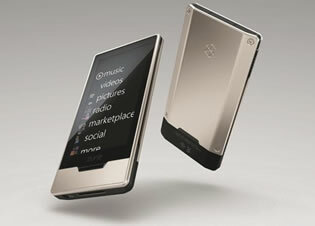 There has been talk for quite a while now that Microsoft is getting ready to kill off the Zune. The company has been viciously denying rumors that it will clear out inventory of the stock it has, and stop producing more units of the various Zune models. Two months ago, the software giant slashed the prices for two (out of three) Zune HD models: the 16GB to $170 (from $200) and the 32GB to $200 (from $270). Last month, we learned that Microsoft would be porting at least some of its Zune HD apps to Windows Phone. While we haven't heard about any retail store running out of stock yet, the rumor suggesting that Microsoft will kill off the Zune hardware and focus instead on just the software, is one that just won't die. Even before the death of Zune Originals, it was clear that the company is increasingly concentrating on the Zune service in Windows Phone over any other form of Zune.